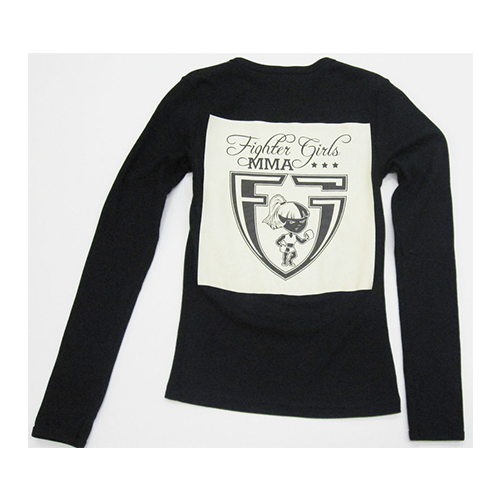 Women’s “Patch” long sleeve shirt in black. 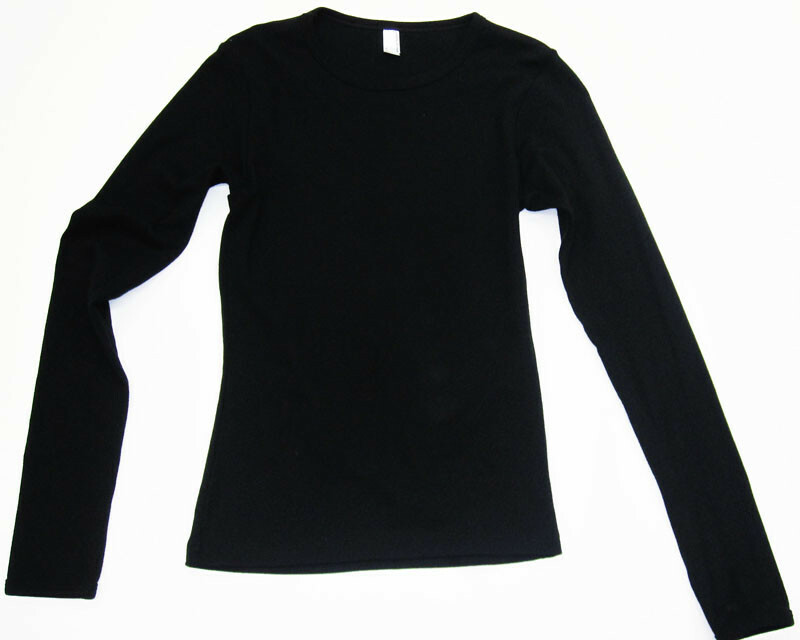 This 100% baby rib cotton black long sleeve tee is slim fitted with extra long sleeves. 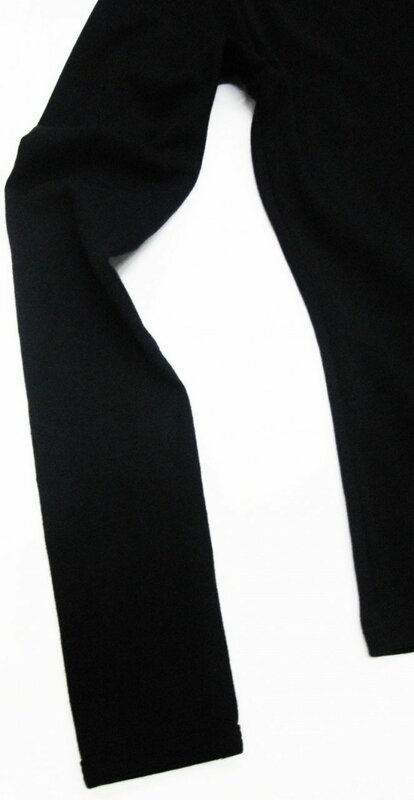 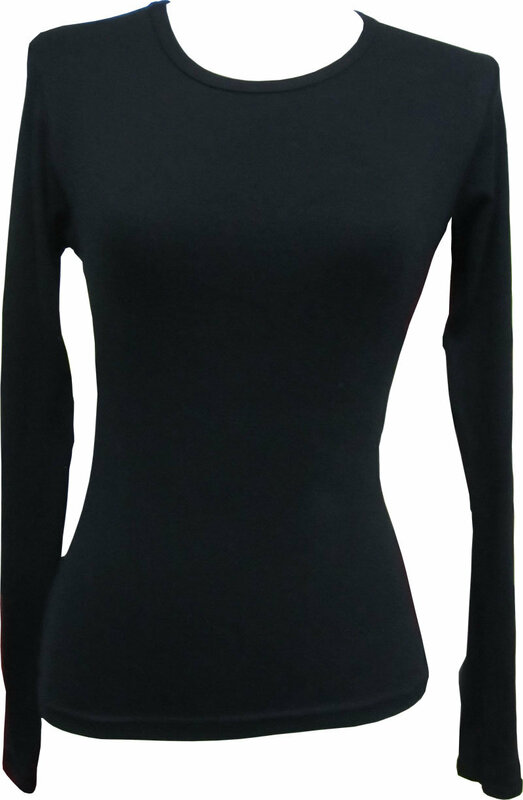 This perfect form fitting long sleeve shirt to keep you warm while highlighting your slim figure. 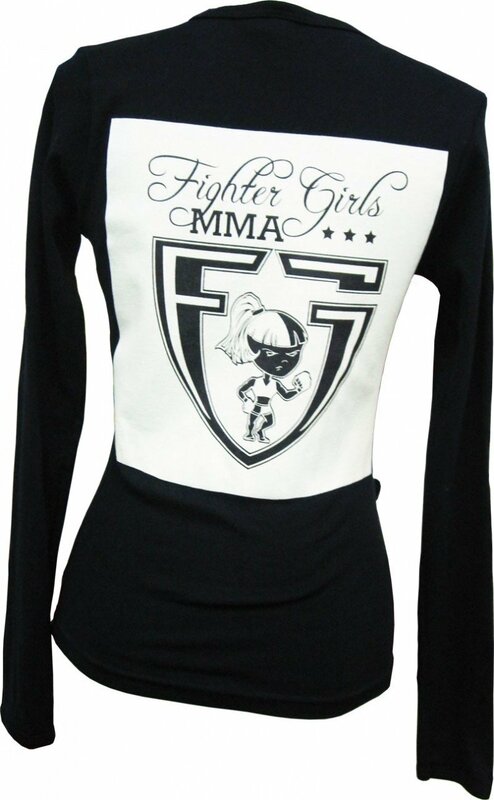 The back this shirt has been screened with our Fighter Girls MMA star and shield patch artwork to give it a vintage look you’ll love. 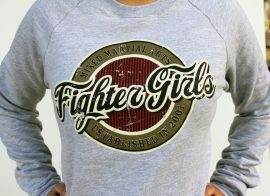 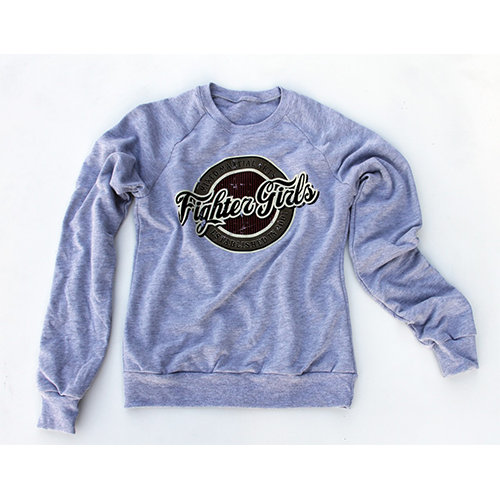 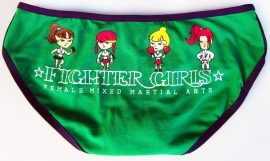 Celebrate your on of a kind personality with this cute custom Fighter Girls “Patch” tee!